We often fit uPVC Windows and Doors, but for clients who require a more traditional or aesthetically pleasing alternative we suggest hand made timber windows/doors. Our carpenter always enjoys fitting hand made oak framed windows and doors made by our joiner, who has spent a lifetime perfecting these products. Everyone loves working with quality. Using age old traditional process combined with hi-tech coatings/finishes ensures your joinery will stay looking as good as new for years to come. Where applicable each window/door uses modern doubled glazed units which give a traditional look as well as ecological and energy saving benefits. Our hand made timber doors/windows can be fitted to replace for your existing or to add the quality feel to your new build or extension. As well as hand made timber windows we also offer hand made timber doors – from bi-fold garage doors to attractive interior and exterior doors, there’s nothing quite like the feel of a solid wooden door. 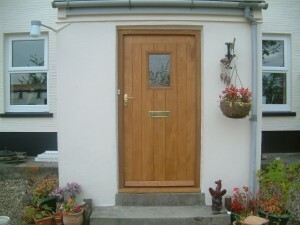 Hayday Construction also offer uPVC Windows & Doors.